WildAid announced Martin Yan, renowned T.V. chef and food writer, will be the celebrity guest chef for its annual gala Nov. 10 at the Beverly Wilshire Hotel. Chef Yan will take the lead on curating a four-course vegetarian menu for the 600 guests gathering to raise money toward WildAid’s mission to end the illegal wildlife trade. 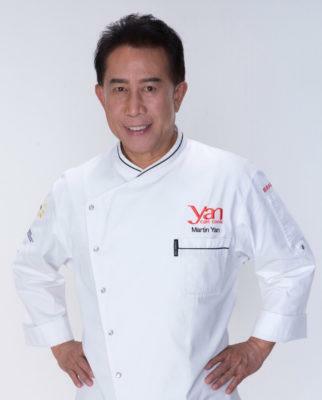 Chef Yan is best known for hosting his Emmy award-winning PBS-TV cooking show “Yan Can Cook”since 1982. Every year, WildAid hosts a star-studded gala fundraiser to celebrate progress in protecting endangered species and marine habitats. Tickets and tables for this year’s event “An Evening in China” are now available for purchase. The charitable evening will feature 16-time Grammy-award winner David Foster performing with Tony and Emmy award-winner Kristin Chenoweth as well as performances by The Cirque. WildAid works with high profile ambassadors including Prince William, Leonardo DiCaprio, Lupita Nyong’o, Bryce Dallas Howard, Richard Branson, Bo Derek, Josh Duhamel, Jackie Chan, Yao Ming and more. Past Gala Attendees include Josh Duhamel, Ian Somerhalder, Nikki Reed, Yao Ming, Fergie, Chevy Chase, Jared Leto, John Corbett, Bo Derek, Michael Cudlitz, Larry King, Hayden Panettiere and many others.